Trying to cut back on your sugar intake? No problem, just omit the maple syrup! Apart from sweet potato being packed full of nutrition, it’s a versatile staple ingredient that can be used across many cuisines and dishes. When cooked, drizzle the potato with maple syrup and a sprinkle of sesame seeds and salt and return to the oven for 5 minutes to caramelise. Sesame seeds are an excellent source of copper and manganese. They are also an excellent source of magnesium, calcium, phosphorous and zinc, as well as fibre. They add a delicious nutty flavour to the dish with a crunch. 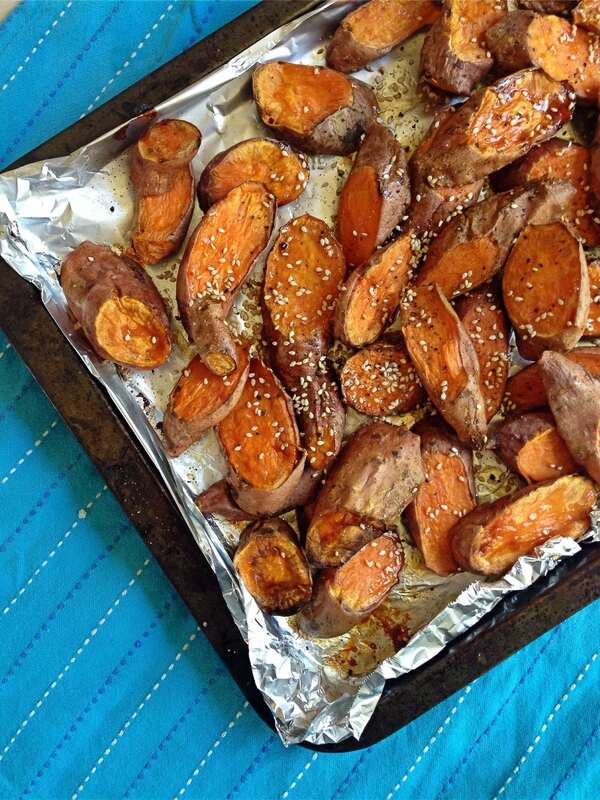 Sweet potatoes are a slow release carbohydrate making them an excellent source of energy to get you through a busy day. High in fibre they are also a fabulous source of vitamin A for healthy hair,skin and nails and fighting free radicals and potassium for a healthy heart.